One Space. One Cover. Multiple Uses. With specially designed and patented WutGroup load-bearing, retractable covers and flooring systems, it is possible to increase the usage of a wide variety of formerly single-use spaces. Essentially, our covers and floor conversion systems allow virtually any space to be transformed to increase usability, value and performance. Load-bearing, retractable pool covers convert your home’s pool room into a multi-use space. Our concealed, hard-surface pool covers can be applied to both indoor and outdoor pools and spas. Outdoor community pools can be safely closed in the off hours to reduce liability. The options are endless: cover your indoor pool to gain more space, cover your outdoor pool for safety, design your deck to include your hot tub and cover it with our platform when not in use, etc. 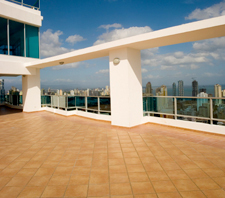 Increase your property value due to improved space utilization and greater square footage. Our unexposed, hard-surface pool covers allow you to convert your hotel’s pool room into a functional space. Your staff can safely close your pool with the push of a button in the off hours to reduce liability and conserve energy. Transform your pool room into a functional meeting and events space in minutes. 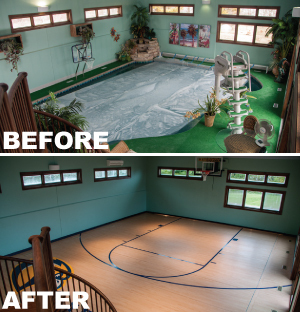 Our product can convert your revenue-draining pool room into a revenue-gaining ballroom when not in use. Convert your community center or school’s pool into a performing stage or gymnasium. If a school or university’s pool area contains audience seating, our retractable flooring system allows for a simple conversion to a large room with a sturdy floor. A community center, YMCA or other similar athletic facility could convert their large pool room into a revenue-generating event space. Maximize square footage with the ability to convert a part-time or single use space (of just about any type) into a fully functional floor, platform or deck. Our patented design also allows you to extend a platform deck from a building, for use as a stage or simply extra square footage. Our covers can be integrated in any residential or commercial building where square footage is a premium, even in special cases, such as cruise ships. Many athletic facilities have the asset of an abundance of seating but are limited to what types of events they can host. Convert a hockey rink or other single-function space into a stage or hard-floor room to diversify the revenue potential of your facility. 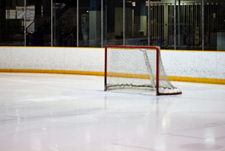 Our insulation and other custom configuration options allow your natural rink or court to stay in tact. May also be ideal for basketball, volleyball and tennis courts – or any flooring that needs to remain untouched while the facility is changed for another use. Design your stage and performance center with versatility in mind. Our retractable platform covers can cover all or part of a stage, allowing for greater versatility in set design. Add a part-time mezzanine to your stage or extra levels of seating to your facility. Our retractable platforms are sturdy, safe to operate and can completely change your stage in minutes. Small facilities may add additional stories of seating for more square footage and ticket sales. Bring a load-bearing platform anywhere you can bring a truck and trailer. Our stage trailers are ideal for traveling shows of all types, including: carnivals, musicians and other performing acts. Our automatic stacking system makes stage setup simple, while maximizing space on the trailer. Custom extruded platforms may be made from aluminum to lighten the load. WutGroup covers are available for applications of just about any size. WutGroup covers take space utilization to the max with long-lasting value that far exceeds the purchase price. The WutGroup product line is ever-expanding, with new applications and technology constantly being developed. Contact WutGroup to obtain information relating to any load-bearing cover need. 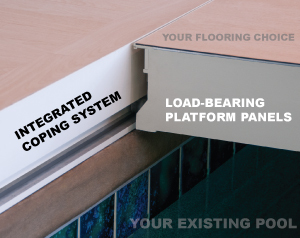 See how WutGroup load-bearing retractable covers and flooring systems can be put to use in home or business applications that provide long-lasting value that far outweigh the purchase price.